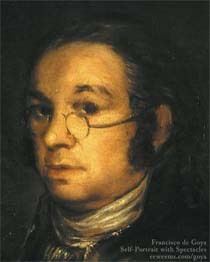 The misgivings that in one way or another estranged Goya from his brothers- and sisters-in-law never effected his relationship with his wife, Josefa Bayeu, whose life was an almost constant succession of pregnancies, many ending in miscarriages, and quite a few deliveries. Such was the prevailing condition of married women in Goya's time, and, judging by the statistical data available, not greatly improved in our own. 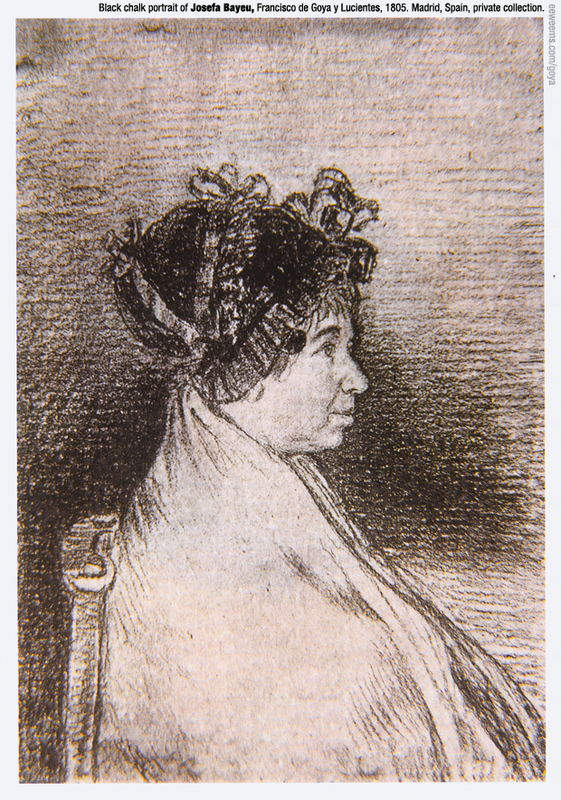 All this physical and emotional effort took its toll on Josefa Bayeu, and is reflected in the drawing the painter made of her in 1805, when she was fifty-eight and had seven more years to live. By the same token, however, she must have been a strong woman: she died at sixty five, an age few of her contemporaries reached, and fewer still after a lifetime that was arduous to the very end. Intimate relations with her husband were not chilled with the passage of time; the couple lived together for almost half a century, and though Goya did not mention her often in his letters to Zapater, when he did, his observations indicate a stable conjugal harmony. He also credited Josefa with a shrewd wit and - - occasionally - - a dark humor. her description of a house in a bad part of Saragossa (which Zapater had arranged to rent) as "a tomb for women" is often quoted. From the book Goya: Images of Women, page 55, section written by Francisco Calvo Serraller. Published by the National Gallery of Art, Washington DC, for the "Goya: Images of Women" exhibit of 2002. 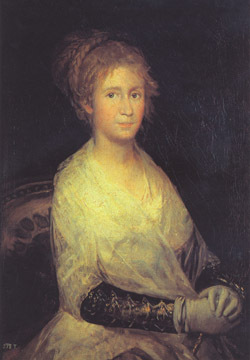 To view the Goya 1814 Oil Portrait of Josefa Bayeu, go here.